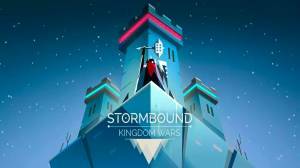 Stormbound: Kingdom Wars is a free-to-play tactical card collecting game where you face off with players around the world in real-time on a gridded board. The game is turn based and to win you must destroy your opponents base before they destroy yours by moving your forces across a small 4x4 board towards it. If a single troupe makes it to your opponents base it will do direct damage to their fortress’ health and when it reaches zero the game is over. How is your Player Level and Base Health Determined? What is the difference between Bordering and Surrounding Enemies? What is the Purpose of Buildings? How do you Manage your Deck? How do you Upgrade Cards? What do you get from Books? What can you get from the Shop? What Cards can you Buy Multiple Times at the Shop? What are the Battle (PvP) Rewards?